Let us search over 40 insurance carriers, to find you the best auto insurance policy that will match your needs with a rate that makes you do donuts. While we do not recommend doing donuts in your car, we understand the excitement our clients have. Feel confident knowing that when your motorcycle or car insurance rates increase or changes in life occur, we have a policy that will work for your driving needs. A well crafted homeowners insurance policy, can set your mind at ease and keep your family protected in the case of unexpected events. Do you know if you currently have enough coverage? Let the experienced Casa Grande home insurance team at Gebhardt, review your current home or mobile home or park model policy to make certain that it works for you and your family. As small business owners ourselves, we understand the risks and rewards from owning a business. Make sure you protect what you are building from those unexpected events that ave the potential to cause disastrous effects on your Casa Grande business. Make certain all the business coverages are in place and you are supported by a company that has your back when you need it. Calling around multiple companies to look for the best coverage and the best rates is frustrating. Fortunately, you don’t have to anymore. Here at Gebhardt Insurance Group, we take a different approach. We shop more than 40 different A+ rated companies to find you the best rate and the best coverage possible. Whether you’re looking to get insured for your auto, home, RV or boat, life or business, we’ve got you covered. Our company has been proudly serving the Casa Grande Community since 2004. We remain as your true hometown insurance agency in the area and the surrounding community.  We pride ourselves in providing a great customer experience and it shows. Most of our new clients are referrals from our already happy customers! So stop “shopping around” for the best rates in Arizona and let us do the work for you. Call all us today or get a free quote right now. At Gebhardt Insurance Group, we know that we wouldn't be anything without our customers and the local community. That's why we make it a priority to give back to our community whenever we can. For years, we have adopted a 2-mile stretch of highway in Casa Grande on Pinal Avenue between Rodeo and McCartney which we clean four times each year. We also sponsor the local arts by working with The Black Box Foundation on several annual projects. We have also awarded sponsorships to the local Boys and Girls Club of Casa Grande for many years.  Our independent insurance agency shops more than 40 carriers to get you the best coverage at the best price. Gebhardt Insurance Group gives fast and free quotes; we can get you covered. There is never any high-pressure sales pitch or obligation. In just a few short minutes you can be on your way with significant savings! If you want the best value in Casa Grande, you have come to the right place! Your staff is very responsive, you return calls, answer questions patiently, and go above and beyond to help us find the best insurance for our particular needs. We are very pleased with your agency and do recommend it when given the opportunity. We are so glad we made the change and hope to be able to move our homeowners insurance to you this year in addition to our business accounts that you already have. Steve actually came to the site where property damage occurred just to make sure everything was going as expected. He wanted to make sure his customers were being well taken care of. That is the hands on commitment and experience you can expect from Gebhardt Insurance. I might add that Steve was not the Agent of the policy, but he makes sure all Gebhardt customers are getting what they pay for - and then some. When I call from Canada twice a year to set up my car insurance for our arrival Maria has everything well organized for us. We also have our park model insurance with Gebhardt and Maria always researches the best deal for us. Never have to wait long for a call back from Maria. I recommend Gebhardt to everyone at Palm Creek Resort because of the great customer service I get.